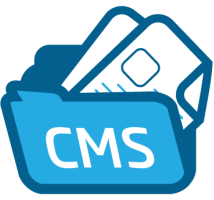 Frog CMS simplifies content management by offering an elegant user interface, flexible templating per page, simple user management and permissions, as well as the tools necessary for file management. Born as phpRadiant in January 2007, Frog CMS is a PHP version of Radiant CMS, a well known Ruby on Rails application. Although the two applications still share a family resemblance, Frog is charting its own development path. Frog requires PHP5, a MySQL database or SQLite 3 with PDO, and a web server (Apache with mod_rewrite is highly recommended). Sign up for our UK Frog CMS Hosting with no risk to try our excellent service start from £2.99/month! ASPHostDirectory.com offers cheap Frog CMS Hosting to all our new and existing UK customers. You can try our services before buy it. Get FREE 7 days Trial Hosting with us. There's no obligation to buy — you can upgrade to a more robust account or cancel at any time. No risk anymore, why wait longer?